Other ingredients: rice flour, diatamaceious earth, magnesium, stearate powder, hypromellose – specific amounts in milligrams not provided for these ingredients. Vendor offers a 30 day return policy and provides a customer service number. Vendor product source also contained 1 customer review that was favorable. This product is expensive for a monthly supply. Having a health service professional review the product first before purchase makes sense in view of the product cost. 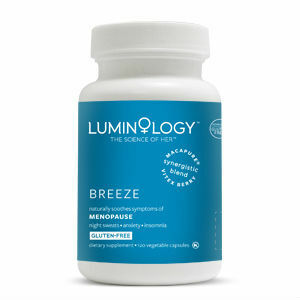 Jackie Horowitz	reviewed Luminology Breeze	on July 22nd	 and gave it a rating of 2.